After being released in a University Blue makeup this month, Jordan Brand is looking to test the mettle of their Jordan RCVR once again with the release of a new colorway next month. 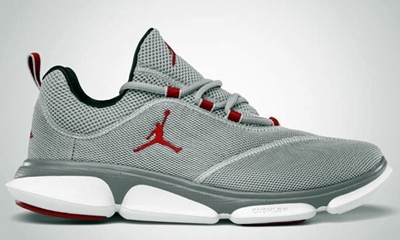 This May, the Jordan RCVR will be released in Wolf Grey/Black – Cool Grey colorway. The silhouette is made with a wolf grey upper part enhanced with red accents on the lacing and Jumpman logo. If you are looking to get a lifestyle shoe that will also give you your basketball needs, make sure to consider this new Jordan RCVR.